On the way home from Colorado there were many cool barns. I shot this from a moving car so it isn’t the crispest in details, but for some reason I liked it. 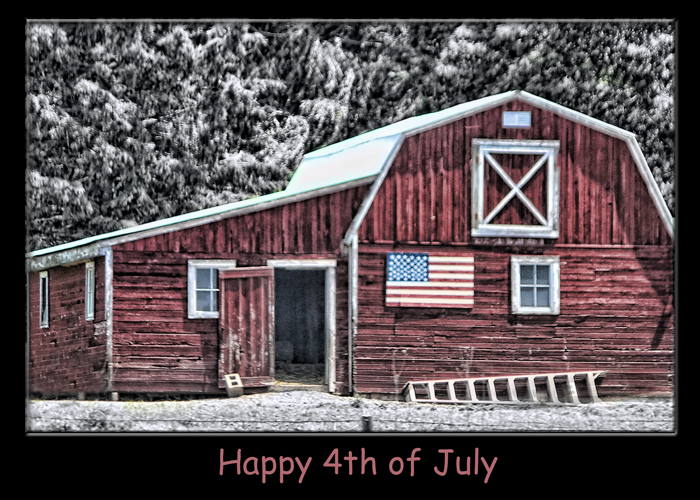 To all of my US friends…Happy 4th of July! Beautiful shot! Love the framing. Have a great day and 4th. Great shot from the car. Love the pocessing. I like the rustic feel and it is pretty sharp for being in a moving car! Love the post processing with the touch of red in the barn. Barns have so many interesting aspects, love how the trees and foreground look snow covered. This is indeed cool, and best of all, it looks like someone cares for it.